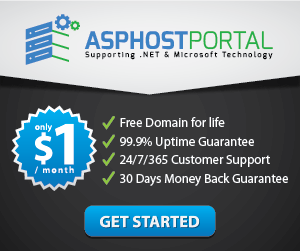 NOTE: The following post is based on Lync Server 2013 Preview. 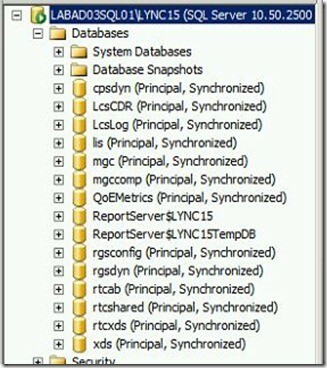 Procedures and screenshots are subject to change when Lync Server 2013 is RTM. 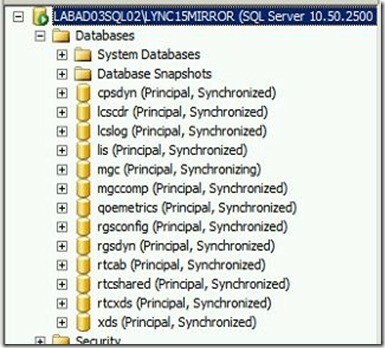 I described how to add a SQL mirror to your back-end database for SQL high availability. 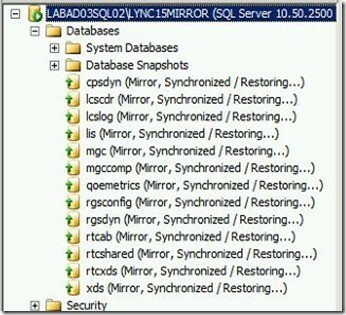 In this post, I will describe how to failover and then fallback the SQL databases between the mirror. 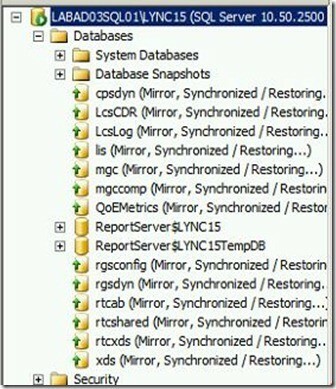 This post describes how to manually fail your mirror databases over to the secondary SQL node and then fall back.